The Days Inn Maui Oceanfront hotel can be a great alternative to the larger Maui resorts, especially for the budget-conscious traveler. Attractive rates are something that this hotel specializes in. Plus, it enjoys a great location on Keawakapu Beach, which is widely considered to be one of Maui’s most romantic strips of sand. You can actually enjoy some whale watching along the beachfront from December through mid-March. Other possible beach activities include snorkeling and scuba diving. 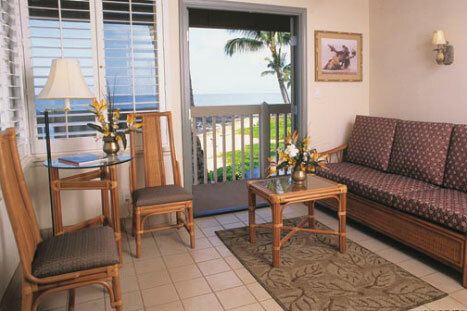 The Days Inn Maui Oceanfront provides its guests with everything that they should need in order to enjoy a pleasant stay. In addition to an inviting beachfront location, the hotel’s offerings include a restaurant, barbecue grills, a fitness room, internet access, and parking. Guests can also use the on-site business center as they see fit, and the available concierge service can come in handy for any number of things. In the rooms, guests of the Days Inn Maui Oceanfront can enjoy free Wi-Fi internet access and relax on memory foam mattresses. Other standard amenities include cable TV, a microwave, a fridge, a coffee/tea maker, a balcony, air conditioning, an alarm clock, an iron, and a hair dryer. Oceanfront rooms and suites are available, and some units feature convenient kitchenettes.